Six pieces of closed cell foam on adjustable belt with quick release buckle closure. 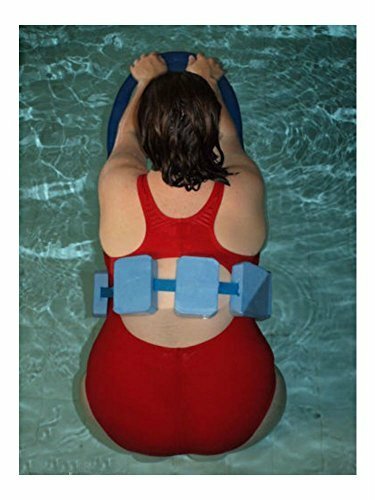 Provides a measure of support and security for the timid adult swimmer or new swimmer. Can be worn on front or back of waist. The biggest benefit is that you may add blocks in front of your body (or place blocks on your body where you require) to better balance and support good posture.